The term "Spotify for eBooks" for ebooks has been tossed around a lot in the past couple years, with startups like Afictionado, Oyster, and Ligimi briefly claiming the monicker, but so far there has been exactly one startup that has come even close to deserving the label. 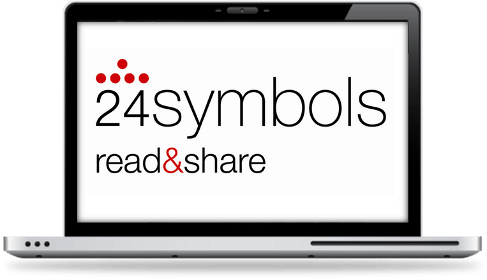 The Madrid-based 24symbols is back in the news today with the announcement of a new distribution agreement. They've just signed a deal with Zed, a leading mobile content distributor. Zed will be working with 24symbols to bring its subscription-based content to Zed's nearly 200 telecom partners around the world. The distributor is also making a capital investment in 24symbols, providing a significant fund for expansion as well as validating the business model. Zed is investing an unnamed sum in 24symbols in exchange for a 32% interest in the startup. 24symbols has spent much of its first couple years focused on the Spanish language market, but in the past 6 months they have expanded their focus and added more content in English and other languages. The service now has over 175,000 registered users who are reading content from 120+ publishers. 24symbols offers around 15,000 titles, largely in English and Spanish, which can be read in the web browser or in apps for Android, the iPad, and iPhone. Subscription starts at 5 euros a month, and there is free content that you can try before subscribing. I’d never checked them out before. It’s pretty bleak over there as far as English content. You know you’re in trouble when books in the public domain are the first thing you see.